What Similarities Do Gambling and Insurance Share? At a first glance, one would easily jump to a conclusion that insurance and gambling are two peas in the pod. In both cases, you are asked for a comparatively small investment on condition that will, if a trigger event occurs, result in a substantial return on investment (ROI). When you engage ingambling, you pay a rather small, usually one-off amount, to stand potentially against a great return on investment. When it comes to insurance, you pay rather small amounts over a longer period and stand against a not asrewarding return on your investment. What might seem as clear proof of a shared similarity between gambling and insurance, makes all the difference in the world when you examine some of the most important factors of each more closely. To make it simple, a trigger event is an occurrence that sets off another event or a chain of events. The trigger event is a key factor in both gambling and insurance. 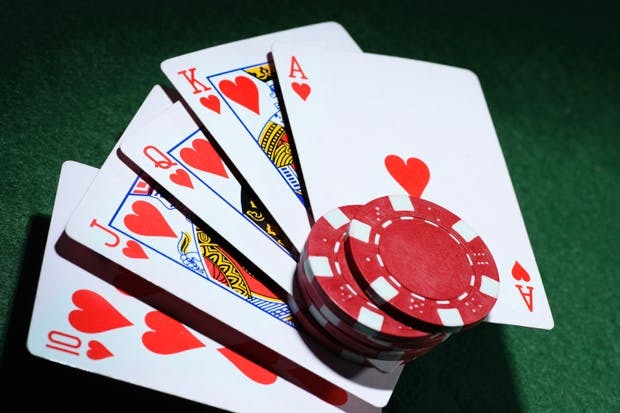 Trigger event ingambling is entirely artificial – it is an agreement between the gambler/player and the broker/ gambling operator on what that event will be and on what occasion the parties will consider it triggered. On the other hand, in insurance, the trigger event is usually not in the hands of the insured or the insurer for that matter. In most insurance types, the trigger event is categorized as vis major – a superior force arising from natural causes without humaninfluence or causes that are entirely out of the scope of human influence. Return on Investment is a performance metrics used to measure gain from an investment relative to the investment’s cost. READ How Can You Measure the Strength of a Business? Ingambling, the outcome can be described very binary – like. You either gain or you lose your investment entirely. There is nomiddle ground here. Binary options trading is a very good example. This most recent investment opportunity offers a unique trading entry point to those who take interest in trading financial contracts. Basically, binary options trading is an estimate of whether a price of a certain asset you choose to trade, will go up or down in a predefined time frame and your ROI directly related to your correct or incorrect prediction. So, as “binary” as it gets. Unlike gambling, with insurance, you can never regain your investment in full, especially if the trigger event does not occur. But should it, you will be compensated a certain amount in case of a trigger event. We’re sure you would always choose to lose less, if any, then to lose your investment. Insuring a home mindset cannot be compared to a mindset of a gambler who just placed a bet on a soccer team. What if that home gets lost to a fire or a flood? What if that team loses a game I bet on? Would the feelings of a person that lost a home and the feelings of a person whose team he bet on lost, be comparable? Is ommon? What insurance example could you think of, that would be comparable to a won gamble at all? The risk is a key spice to our lives today. Though it can be very intimidating, it is a very powerful driver in many of the life’s aspects. The risk is also the only common denominator between Gambling and Insurance, but they are not more than two sides of a very well-polished coin. One embraces risk, and the other provides protection from it. The two industries co-habit well together, but there is a clear and undisputed divergence that lies in their approach to risk, the mindset of the participants, the perception of each, and the legal and/or tax status of each.